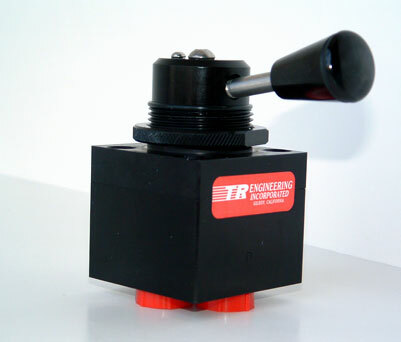 TR Engineering's MDC Series directional control valves are used in a broad range of applications, including instrumentation systems for power plants, jet engine transport trailers and testing systems. 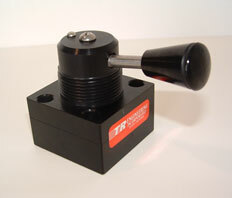 They are also used on our own line of hydraulic hand pumps due to their compact size and high reliability. For panel mounting, the hole should be 1 13/32" diameter, with a maximum thickness of 5/16". Stainless Steel Construction: See Stainless Steel MDC Series Page for details. 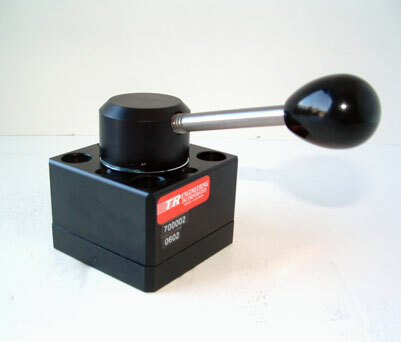 10000 PSI Pressure Rating: See MDCH Series Page for details. 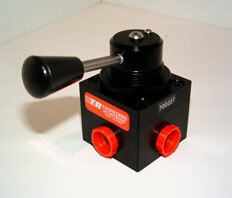 The -7 manipulator configuration provides a special 4-way flow pattern which is ideal for pilot applications. In the neutral position, P is blocked and A and B are connected to tank. There is a restriction in neutral between A, B and tank, and this valve cannot be used where return flow through A and B is high. 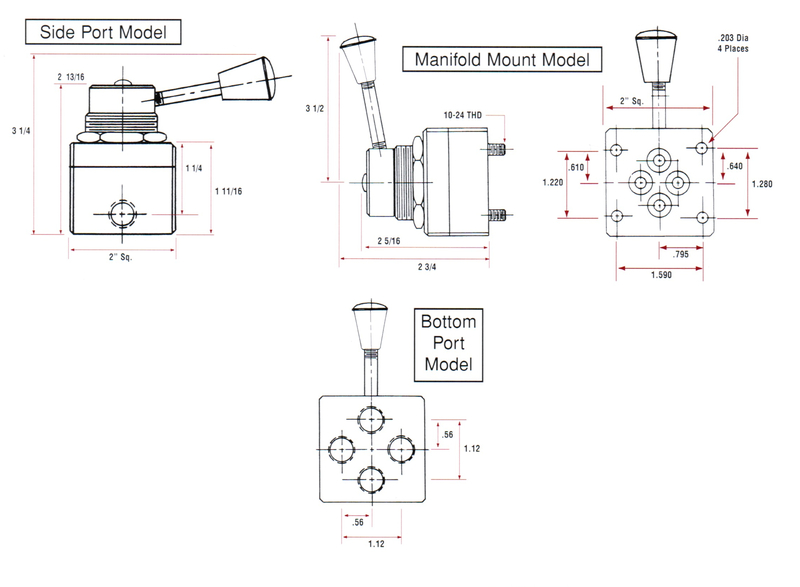 Click Here to view parts breakdown for MDC Series Directional Control Valves. Click Here to view installation drawings for this product. NOTES: Develop valve model number from above table. On bottom ports, only 1/8" NPT, 1/4" NPT and -4SAE are available.